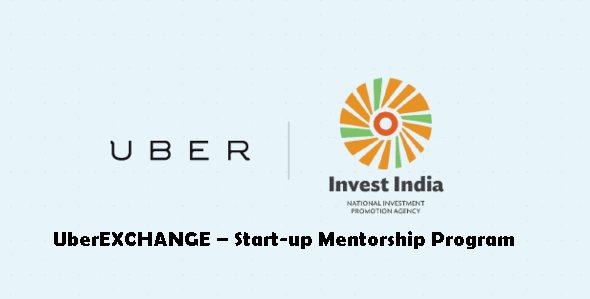 Uber, the global leader in Taxi aggregation has announced a new start-up mentorship programme in the country in partnership with Invest India and has named it uberEXCHANGE. It will help Indian Startups get off the ground. The program aims at not only providing mentorship, but also introduce selected startups to investors and successful entrepreneurs from across the world. “Invest India” is an official agency dedicated to investment promotion and facilitation. It’s a joint venture between the Department of Industrial policy and Promotion, Ministry of Commerce & Industry, the State Governments of India, and the Federation of Indian Industry. The programme will address issues that entrepreneurs face, like fund-raising, product design, engineering and how to scale up a business. This public-private initiative will enable students, entrepreneurs and industry leaders to learn from each other, helping to create a culture that celebrates risk-taking and views failure as an opportunity to learn. It will also support Prime Ministers vision to make India a global startup hub. If you are a startup and would like to attend this series, fill up this online form. Uber will then select the startups and provide more information on how startups can attend this program. [su_box title=”More From DSIM” box_color=”#c7c7c7″ title_color=”#000000″ radius=”5″]1) Case Study:How Old Spice used video ads to boost up user engagement over YouTube?